Features the NEW SKS3016 SPEED COMPACT with base rollers for smoother gliding on the base. Precise side and base beveling. Adjustable from 85� to 90� in 1/2 degree increments. 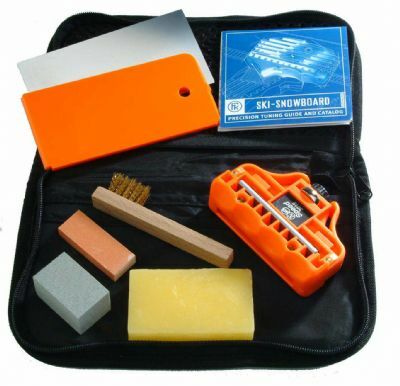 Includes Plastic and Metal Scrapers, Rubber Gummi stone, Small edge stone, File cleaning brush, and 30grams of 1082 Universal Racing Wax. • Notes: Uses 70mm file size.